Did you see familiar faces performing on Conan O'Brien last night?? Dave Simonett & his Dead Man Winter crew impressed the host (and pretty sure Conan would have liked to walk away with Erik Koskinen's guitar...) and surely came away with more fans. 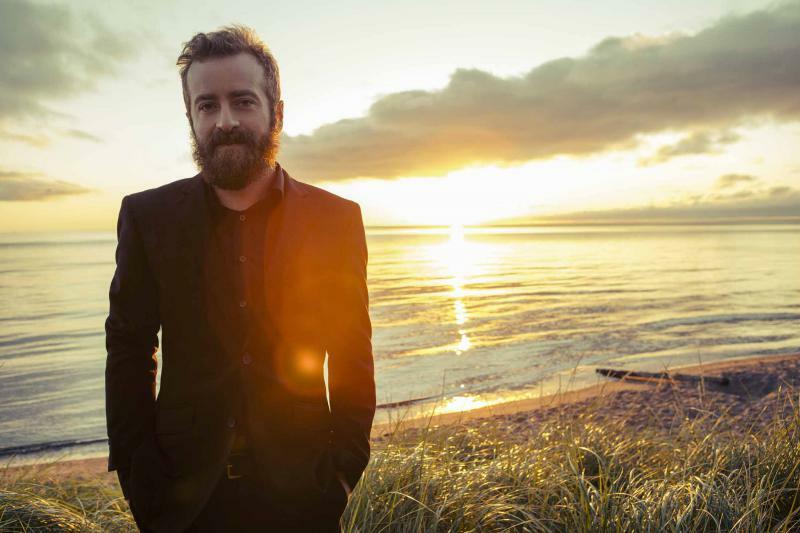 I had the opportunity to talk with Dave Simonett, frontman to Trampled by Turtles, a few weeks back for Lake Time Magazine. Dave took a break from the band to release Furnace, an album with Dead Man Winter, his folk-rock side project. 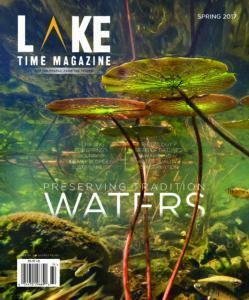 Pick up the Spring copy of Lake Time Magazine (available now) to see the interview. Your first release as Dead Man Winter came out in 2011 Bright Lights. How was the process of Furnace different for you? Well, making and releasing that album was much more casual. I didn't even tour with it. It was just something I fit in between Trampled tours at the time. It was a lot of fun though. I love recording with Erik Koskinen and I was surrounded by friends. Do you have a ‘favorite’ song on the album? Nah I feel odd saying one of my own songs is a favorite. Furnace was recorded live to tape at Pachyderm Studios in Cannon Falls, MN. Same studio where In Utero (Nirvana), Wild Animals (TBT) and other great albums have been recorded. Does it have the vibe of a sacred place or have you been there enough that it feels like a second home? Pachyderm is one of my favorite places in the world. The peace and quiet that valley holds is magical. I've produced a couple records down there recently as well so yes it definitely feels like a second home at this point. Nick Tveitbakk, the manager and engineer, is the absolute best and he and I seem to be a good team. Trampled has played Bayfront (in Duluth) over the past few years, and organized Festival Palomino in the Twin Cities. Will those shows continue in 2018? Too early to tell, really. The band has played many of the major festivals like Coachella and Newport Folk Festival, performed on the Late Show with David Letterman, and had the opportunity to play with some musical greats. What is a career highlight for you? Well those you listed surely fit in that category. Playing Will The Circle Be Unbroken with Mavis Staples and Norah Jones at Newport one year is one that definitely sticks out. I've seen you're a late night ebay shopper. Best purchase? Worst? Oh they've all been the best. And of course we need to discuss Trampled by Turtles. Big news all over - and in Minnesota, huge news - that the band is taking a break. How did this come about? First I don't think it's really big news. We'd been touring for 13 years and just needed a little time away. It's hard to have a healthy relationship without space and the chance to miss it once in a while. Also, I wanted to release this record. Actually release it and not just play a couple shows between TBT runs. It's been nice and I look forward to getting back together with those guys at some point. You seem to be a Miller Lite aficionado. Was that your drink of choice in 2003? Probably not. But they do have the classiest looking logo in the business in my opinion. I'm at a point where I've had my fill of super hoppy IPAs and the like and have reverted back to my roots. I don't like to get drunk off of two beers.